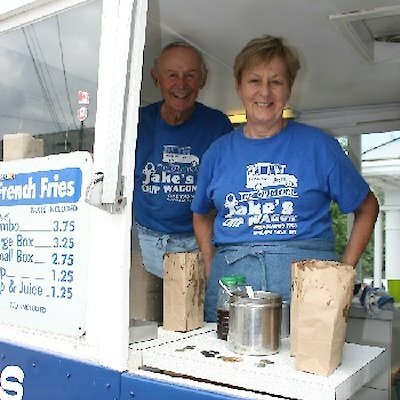 Food Network Canada has declared Jakes Chip Wagon, which has been a downtown Niagara Falls icon since 1945, as one of the top chip wagons in Canada. The wagon was first started by the parents of one of the current owners, Amy Heibert. Today she and her husband Jake have been serving up fresh hand cut fries in the same original location since the 1970’s.In some parts of the world people aren’t familiar with the word chips…it’s another way of saying French Fries. I can still remember lining up at the 65 year old blue vintage wagon for a box of their delicious chips. As a matter of fact I’m going to head there now for some chips. Let’s up they are around for many more years.